The aroma of baked goods fills the air as families and friends gather for the holidays. The same thing is taking place in our schools as our staff and students teach and learn about the season’s traditions. 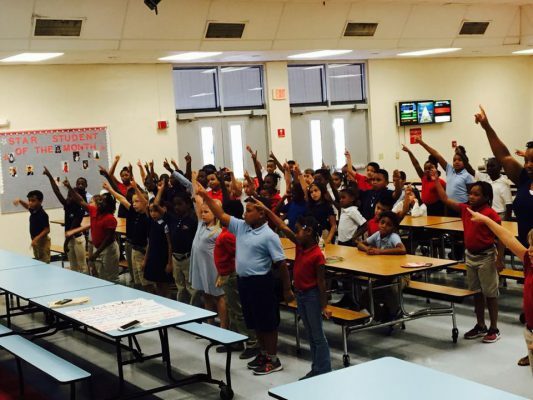 We find many schools participating in food drives, hosting concerts, and enjoying special luncheons to welcome the season of Thanksgiving. 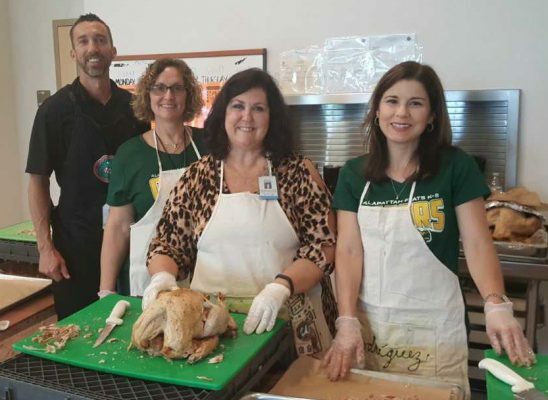 Allapattah Flats administrators carve turkeys to serve their students and staff a feast. 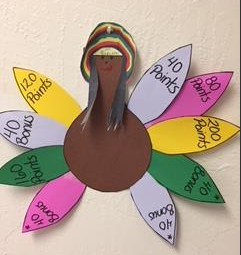 Weatherbee Elementary hosted a Turkey Trot Reading Challenge. 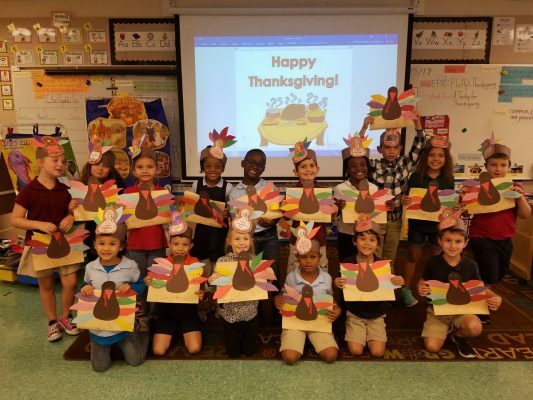 Students in Mrs. Harris’ class at Village Green Elementary learned about the First Thanksgiving and the origin of the celebration/holiday. 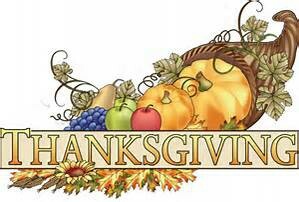 The students wrote opinion pieces about various people and things they are thankful for and explained why. They also made turkey placemats for their pals who are elderly residents of the Grand Oaks Assisted Living Home in Jensen Beach.